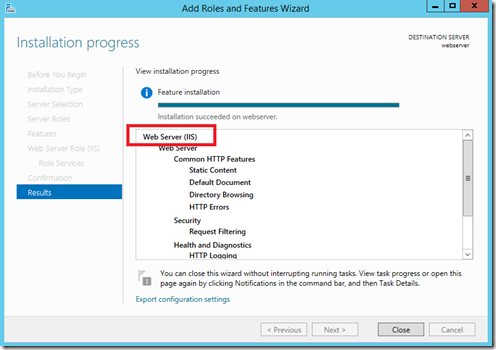 First, let’s create an ordinary Windows Server 2012 R2 VM. 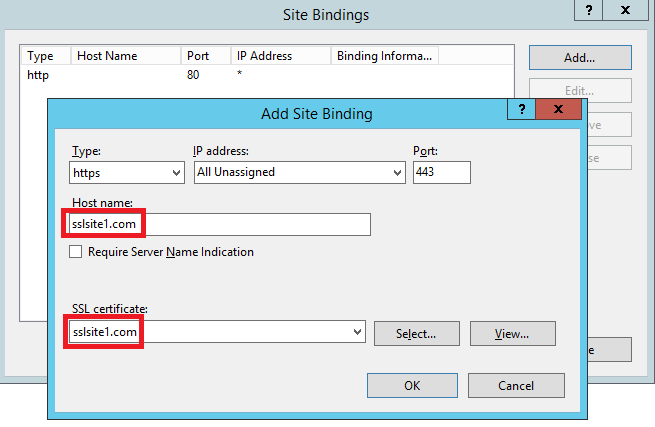 Note that this VM can be located either within a virtual network or standalone in a cloud service, both cases allow configuration of multiple VIPs. 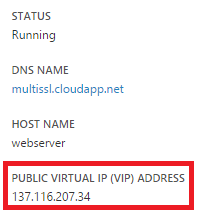 In this example our server gets hostname webserver and cloud service name multissl.cloudapp.net. 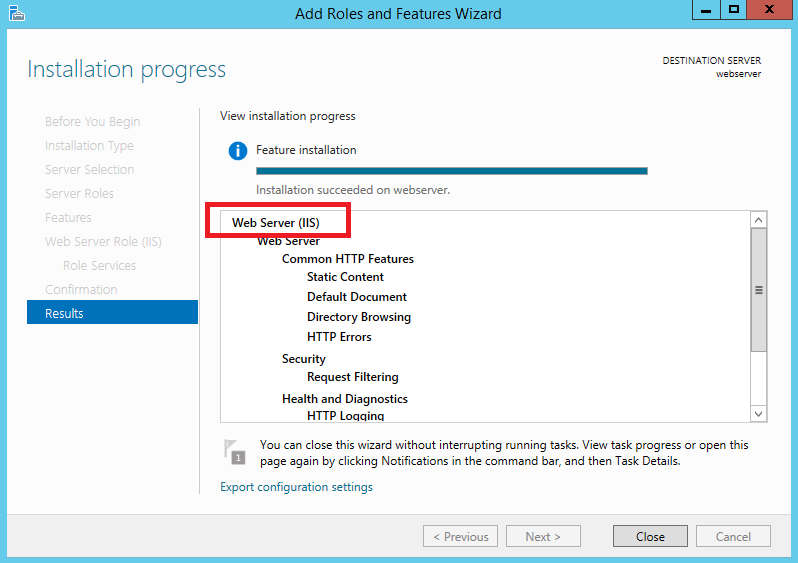 RDP into the VM and install the Web Server (IIS) role via Server Manager. For our testing purposes, we will create two self-signed certificates for the SSL sites we are planning to host on the web server. In order to do that you can use makecert, which is contained in the Windows SDK and is also part of any Visual Studio installation. You will have to enter the password specified above. This statement will create the certificate in the local machine store. 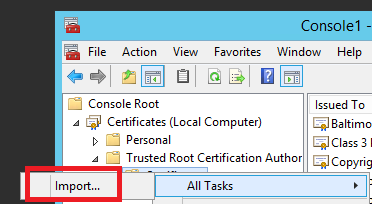 In order to be able to import the certificate in IIS on the web server VM, we first need to export it from our local machine certificate store (assuming you ran makecert on your development machine, not on the web server). 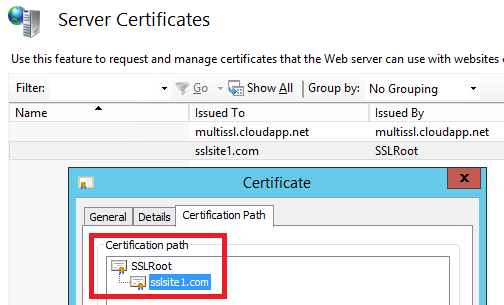 Open the Certificate Management Console, find the sslsite1.com certificate and export it to a file sslsite1.pfx (make sure to include the private key in the exported file). Again, you will protect the file by entering a password. Now, let’s associate this certificate with an SSL binding for the default web site. 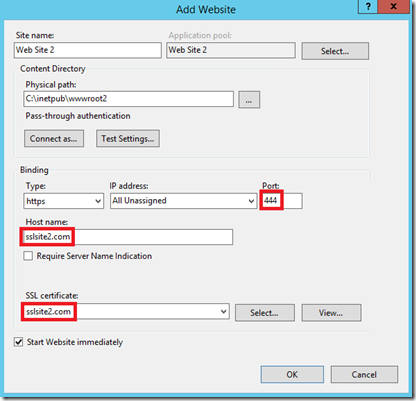 In IIS Manager open the ‘Site Bindings’ settings and add an entry for HTTPS including our new certificate. Make sure to also enter sslsite1.com as host name. 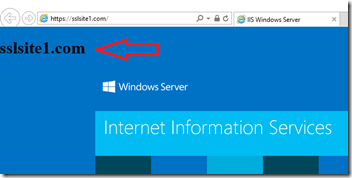 After that’s done you can open https://sslsite1.com in a browser, showing the default IIS web page. Note, that you might get a certificate warning (in case you did not import the root certificate in the local machine’s Trusted Root Certificate Store. Same as for the first web site, export the sslsite2.com certificate in the Certificate Management Console and export it to a file sslsite2.pfx (including the private key). 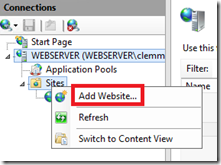 Copy the .pfx file to the web server VM and import it in IIS Manager. In this sample we are creating the web site in a new directory c:\inetpub\wwwroot2 and copying the content of the default web site (from c:\inetpub\wwwroot) to the new directory. I replaced the text sslsite1.com by sslsite2.com in iisstart.htm in order to see that we are targeting a different site. In the ‘Add Website’ dialog you can add a SSL binding directly. 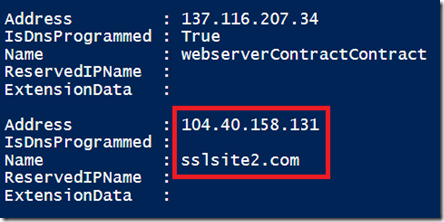 Important caveat to note is that it is not possible to use port 443 again, as it is already bound to the default IIS website for sslsite1.com. We are using port 444 in this example. 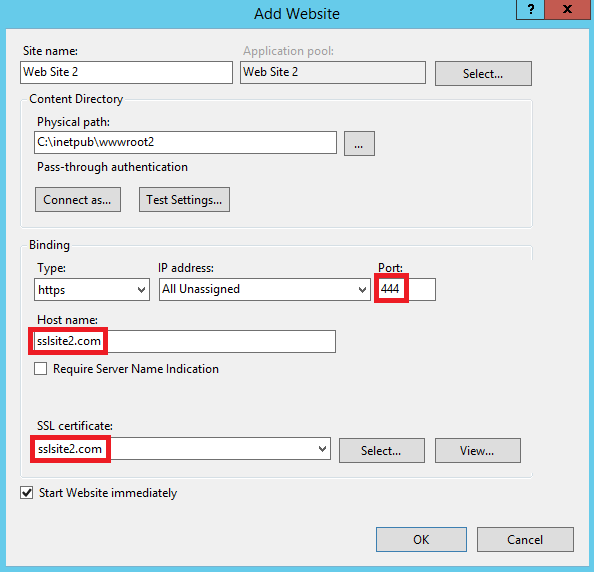 Also make sure to use sslsite2.com as host name and also select the correct certificate for sslsite2.com. 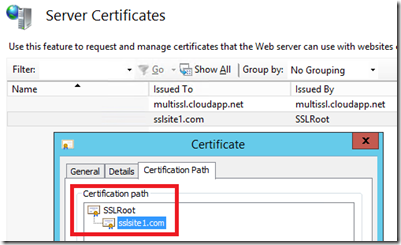 $deployment = Get-AzureDeployment -ServiceName "multissl"
Add-AzureVirtualIP -VirtualIPName "sslsite2.com" -ServiceName "multissl"
Note, that we specify 444 as the local port (as configured in IIS on the web server). Externally the new VIP allows us to use port 443, which is the whole purpose of using multiple VIPs. As you can see it’s fairly easy to add additional VIPs to a cloud service and associate them with corresponding endpoints. This is the recommended way to host multiple SSL endpoints using different domains and certificates in a single cloud service, all of them listening externally on port 443 and forward requests internally to different ports. In production environments you wouldn’t use single instance VMs, but rather host multiple machines in a cloud service and work with load-balanced endpoints. You can do that with our VIPs above as well by using the -LoadBalancedEndpointSetName attribute in the Add-AzureEndpoint PowerShell Cmdlet and add multiple endpoints to the same VIP. This entry was posted in Microsoft Azure and tagged Azure, IaaS, Microsoft Azure, VIP. Would these commands be safe to run as a deployment script or would it create a new IP each time? This seems like a great solution to automate hosting multiple https sites if there’s a way to check if it already exists. 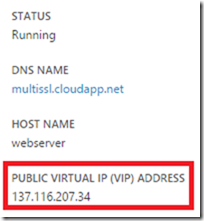 Calling Add-AzureVirtualIP with an existing VIP name will return “vip already in use”, so you should be able to use it in a deployment script. 1. What is limit in number of VIPs per cloud service? Could I have for example, 80 VIPs per cloud service and how it will billed by Azure? 2. Is addition of VIPs supported for already running cloud service or it applies only for the newly created cloud services? 3. 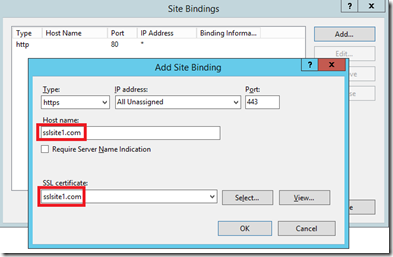 Are there any limitations with cloud services with Reserved IP addresses? When I run Add-AzureEndpoint command in load balanced set. I keep getting ” The server encountered an internal error. Please retry the request”. I’ve been trying to work around this for days without progress. 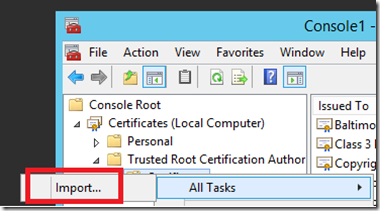 Remove the virtual IPs and backup starts working again. Add them back in and it stops. This second VIP will be DHCP, correct? What if the server gets shutdown or Microsoft has an outage that causes a deallocation? 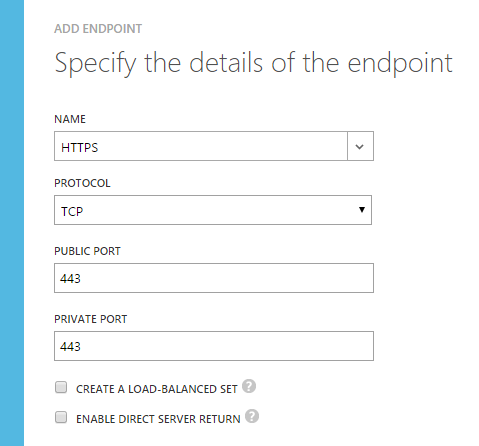 Right, you can reserve only the primary VIP, the second will be some IP from the documented address range of the Azure datacenter. An outage or reboot will not cause the IPs to change though, only deprovisioning will do so for non-reserved VIPs. 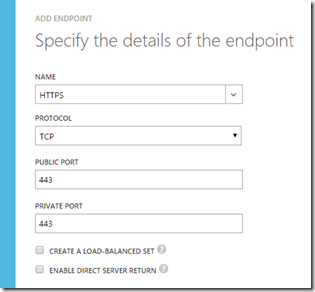 On the New-AzureReservedIP use the -VirtualIPName to reserve the virtual IP address you have already created.